A new campaign from Europcar to promote hire car delivery services has been built out around the concept of my extra hour. 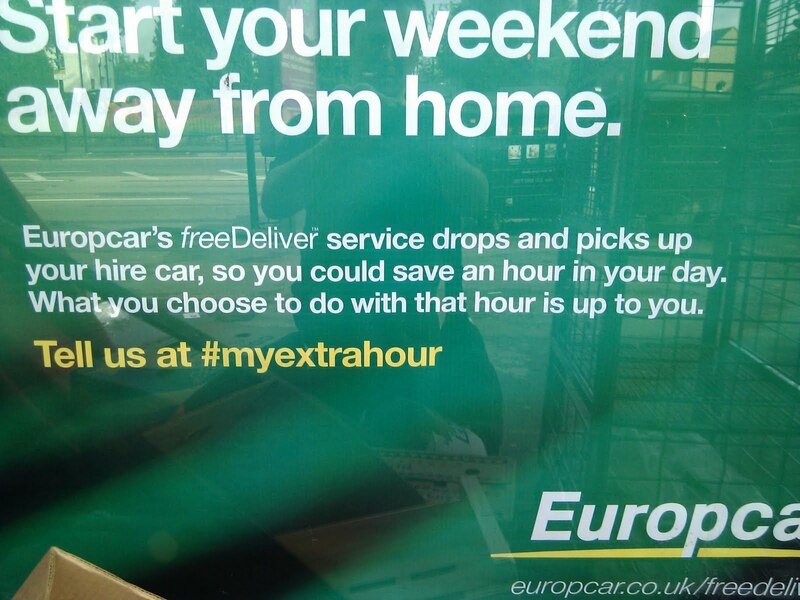 This is a nice example of Twitter in the real world and how Paid promotion can drive Earned conversation, with selected digital poster sites then being turned into Owned Spaces - again everything joins together and integration is the key to delivering innovative executions. That is one great marketing campaign for car delivery services! Amazing since everybody is on twitter now. That can go trending in minutes. Your blogs and accretion attracts me to come back once more on your site Crossfit Site. I guess about this the best blog I have read all this hour gym pros. The primary cardholder's date of birth click the blue Turn on button. Official Site By Citi became the initial financial institution to begin the digitized Smart Banking.